The ninth round of the Oppositelock Forza 7 Endurance Championship, at Monza is Saturday, September 29th at 8:00 PM EDT. If you’d like to learn more about the series, click the link and get all the info. Or, if you’ve already read the plan but haven’t signed up yet, click here to go straight to the sign up sheet. BUILD RULES HAVE BEEN FINALIZED! CLICK HERE FOR THE CURRENT BUILDS. Any car that has had it’s build changed is highlighted in yellow on the build sheet, and a lot of cars have been updated, more than I anticipated, so read through the sheet carefully. Also, the required number of pit stops has been finalized. There will be 2 required pit stops for Sports-Proto and GT cars. 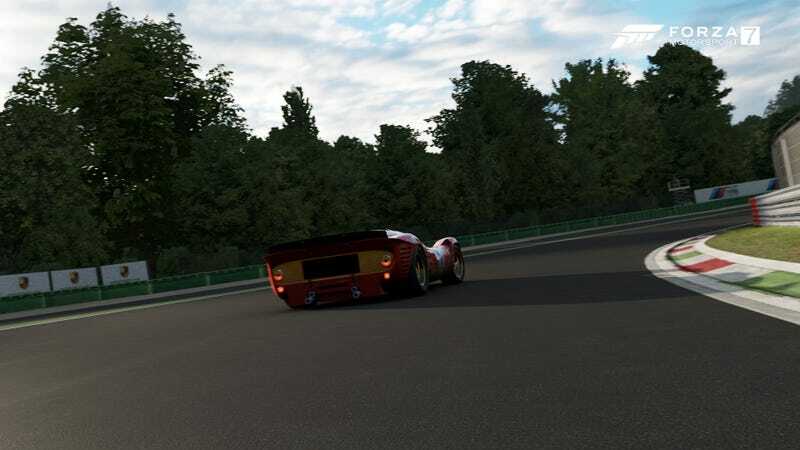 Also, a reminder that we are using the alt version of Monza, so no chicanes. The track map is shown below. I would practice your entry into turn 1 because none of these cars will take it flat, and if you forget that many people will go boom. Not to mention that the Sports-Protos take the turn about 50 MPH faster than the GT cars. So exercise extreme caution and call your approaches when possible. That’s all for now! Hope to see you on Saturday.